British drug maker Indivior faces bankruptcy after the US Government accused it of overseeing a multi-billion pound fraud to drive up sales of its opioid addiction treatment. The FTSE 250 firm’s shares crashed by more than 70 per cent after prosecutors claimed it had engaged in a ‘truly shameful scheme’ that put profits before the health of patients. It is accused of using shaky evidence to falsely claim a new version of its Suboxone treatment was safer than rival products – and raking in billions of pounds from subsequent sales. If found guilty, the company will be ordered to hand over at least £2.3billion. But analysts have warned Indivior cannot afford to pay. Shares fell 72 per cent, or 75.9p, to 30.05p – valuing it at just £219million. It was worth £774million before yesterday’s sell-off and £3.6billion last summer. Every year millions of Americans use opioids to manage pain – triggering an addiction epidemic that has been described as the worst drugs crisis in US history. More than 72,000 people in the US died from drug overdoses in 2017 alone, according to official figures, with two thirds of these linked to opioids. Announcing the charges brought by a federal grand jury, American prosecutors said ‘the deadly opioid epidemic continues to devastate communities and families across our nation’. They said Indivior and its executives were ‘in a position to know the harm opioid abuse inflicts’ but had chosen to ‘profit illegally from the pain of others’. Jody Hunt, of the Department for Justice, said: ‘Opioid addiction is a national epidemic. The charges centre on Suboxone, by far the Indivior’s most profitable drug, which earned it £680million in sales in 2013 alone. At one stage Suboxone tablets dominated the market for treating opioid addiction in the US, accounting for 85 per cent of sales. But the expiry of the medicine’s patent in 2009 raised the prospect of copycat versions being sold by rivals, and Indivior bosses were desperate to delay this, according to American prosecutors. In 2010, the company launched a film version of Suboxone that could be placed under the tongue and dissolved. It then launched a marketing campaign which aimed to persuade doctors to stop prescribing tablets and replace them with the film version. But while Indivior argued the film was safer – because it was less likely to be abused and more difficult for children to accidentally use – the company ‘lacked any scientific evidence’ to support this, prosecutors say. It also set up a ‘Here to Help’ internet and telephone scheme which put patients in touch with doctors who the company ‘knew were issuing careless, clinically unwarranted prescriptions’ for the medicine. Then in 2012, as rivals were close to launching generic tablets, Indivior announced it would stop selling its own Suboxone tablets completely – and told regulators they posed a risk to children who might accidentally eat them. 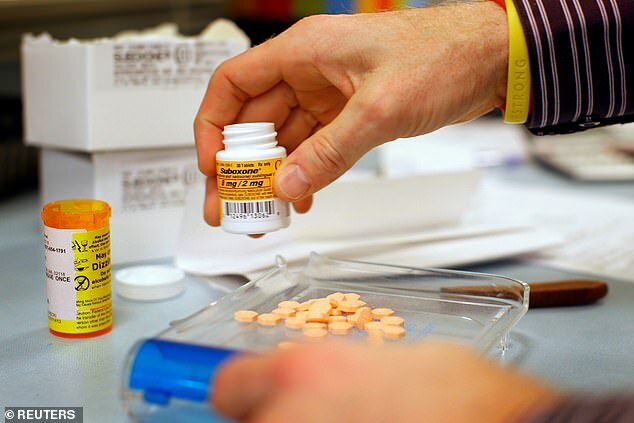 ‘In fact, Indivior executives knew the primary reason for the discontinuance was to delay the approval of generic tablet forms of the drug,’ prosecutors said. Reckitt Benckiser’s shares fell 6.5 per cent as it risked getting dragged into the scandal over sales of opioid addiction treatments by Indivior. The consumer goods giant, which makes Durex condoms, Vanish detergent and Nurofen painkillers, owned Indivior during the period when American prosecutors say it fraudulently marketed its Suboxone product across the US. Reckitt is not named as a defendant in the case. It spun off Indivior in 2014 and the two firms are now completely separate. But charges filed by the US Department of Justice alleged plans to fraudulently market the film version of Suboxone as safer than tablets went back as far as 2009. They say this was done despite a lack of scientific evidence to back the claims up. 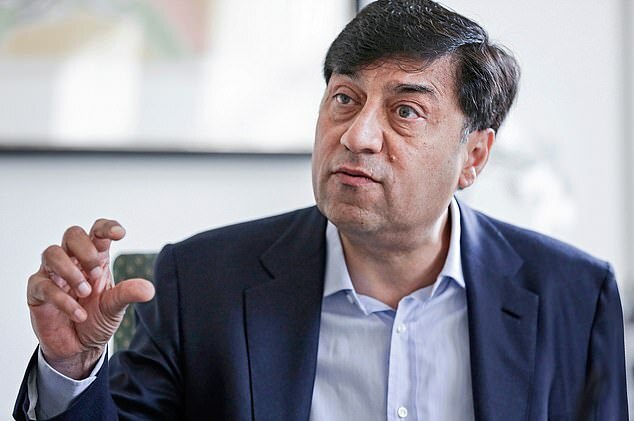 It is potentially embarrassing for Rakesh Kapoor, who took over as chief executive of Reckitt in 2011 and stressed the benefits of Suboxone film in quarterly results calls. In addition to potentially wiping out Indivior, which faces a £2.3billion fine, analysts warned the charges could also put Reckitt in jeopardy. In a note to investors, UBS analysts pointed to a warning in the company’s annual report, which said it was in discussions with the US Department of Justice over Indivior but could not be assured it would reach a settlement. It is the latest headache for outgoing boss Kapoor, 60, who also faces a possible investor revolt over his pay and lucrative pension payments. He has been paid £101million since taking the helm at Reckitt.